It was a declaration she made in 2016 as part of the inaugural class of NBCBLK28 — in which NBCBLK recognized 28 trailblazers under the age of 28. She cooks, she told NBC News, because food is essential — "You can't live without food.". Before graduating from the Culinary Institute of America, Roshara was deployed to both Iraq and Afghanistan as a member of the 4th Engineer Battalion, Roshara served as an automated logistical specialist responsible for supervising warehouse functions to maintain equipment records and parts. When Roshara returned stateside she joined the 395th Combat Sustainment Support Battalion and was allowed to cross train as a food supply specialist. “I was passionate about cooking,” Roshara says, “and I prepared meals for 500 soldiers, three times a day, in shifts around the clock. If it weren’t for the GI Bill I wouldn’t have gone to the Culinary Institute of America or any college for that matter. It was a blessing and it made my dream a reality.” Roshara’s hard work has not gone unnoticed. She holds Campaign Medals from Iraq and Afghanistan, a Navy/Marine Achievement Medal, and she was the December 2014 Chef of the Month for Chef Works, an international foodservice uniform company. Roshara was sponsored by Remy Martin Cognac Company and inducted into the Circle of Centaurs mentorship program. On November 11, 2015, Roshara was featured on a special Veteran’s Day episode of Food Network’s hit show “Chopped” that included military vets competing from every branch Army, Marines, Air Force, and Navy. Roshara won the competition beating chefs twice her age and experience! 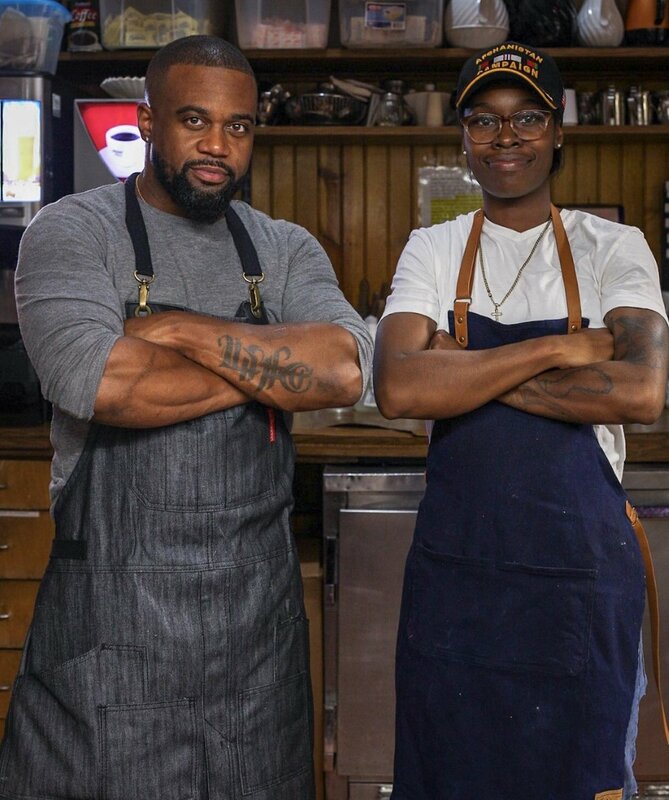 In 2016, NBC Black named Chef Roshara Sanders to their annual “28 Under 28” list alongside other inspiring African Americans like Cam Newton. Roshara currently serves as a celebrity ambassador for Habitat for Humanity International, and most recently traveled to Malawi on behalf of the organization. In 2018, Roshara signed a partnership deal with consumable goods manufacturer, Microfoodery, for a line of products bearing her name. 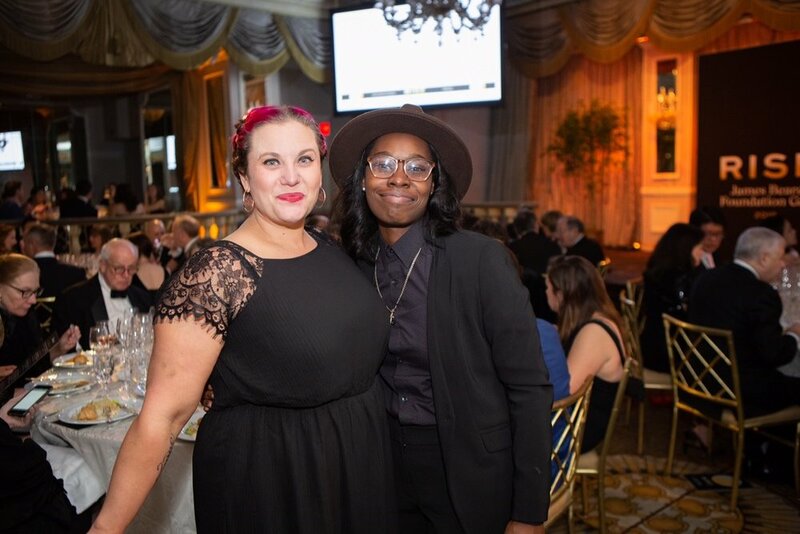 Chef Roshara Sanders was recently invited to present a feature dinner at the prestigious James Beard House in New York City in November of 2018 in honor of Veterans Day. 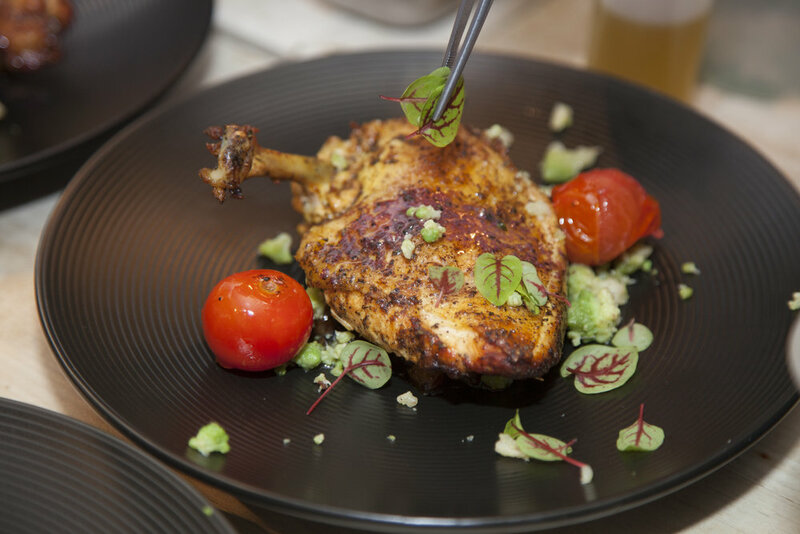 Established in 2016 Chef Ro decided to use her Culinary Knowledge and Talent to startup a Research and Development Consultant business. She has worked all over the country with restaurant groups and manufacturing companies in advancing there properties. She has done menu development, Staff training, Food safety certification, and developed consumable good product concepts for manufactures. It is her goal to bring ideas and curate an environment that her clients desire. Alkhemy is a strong advocate for sustainablity, conservation, philanthropy and humanitarian efforts internationally. Chef Ro was inducted into Remy Martin Cognac NYC mentorship program. She was hand selected by the talented Jessamyn Rodriguez as a mentee! Graduating in 2014 with her Bachelor's Degree in Culinary Arts Management Chef Ro inspired her fellow peers and instructors becoming 2012 graduation speaker. Using the United States Army's Post 9-11 Gi Bill chef Ro was able to obtain her education from the world's best school in the world. in 2015 Season 26 episode 4 Veteran's Day Competition, Chef Ro beat out her fellow military veterans in a epic battle on the show. She has clinched on to the title of Champion competing against other services members and chefs twice her age and with longer food service experience. in 2016 Chef Ro was honored by NBC Black media outlet for being one of the years most inspirational African American Entrepreneurs in he Country under the age 28. This line up included rising stars like Cam Newton, Micheal B Jordan, and Steph Curry. Chef Ro was the only chef on the list recognized on the list that was released for Black History Month! In 2017 The National Restaurant Association Awarded Chef Ro with The American Dream Faces of Diversty Award for her exceptional culinary and military service. Chef Ro is also very involved in her local community as a mentor for many young people. She is a advocate for Food Waste, Sustainability, and focuses on several issues like farm bill policy. Traveling to Malawi Africa in 2017 with Habitat for Humanity International Chef Ro is fully engaged in this 501c3 efforts for building sustainable homes for lower income families. She has been a supporter of the organization which has given her mother a home of their own. Chef Ro was raised in a Habitat Home all her life and believes that the organization provided a safe place for her to flourish in her younger years. In 2018 Chef Ro attended the Food Policy and Change Bootcamp hosted in Atlanta Ga by the James Beard Foundation. There she learned techniques on how to become a chef advocate in her state and bring knowledge to the community about the 2018 Farm Bill. The James Beard Foundation also gave chef Ro the opportunity to attend the United Nations for a discussion on Food waste in America. Chef Ro is a huge advocate for the organization using her platform to raise awareness for the food system by support solutions that better the system. 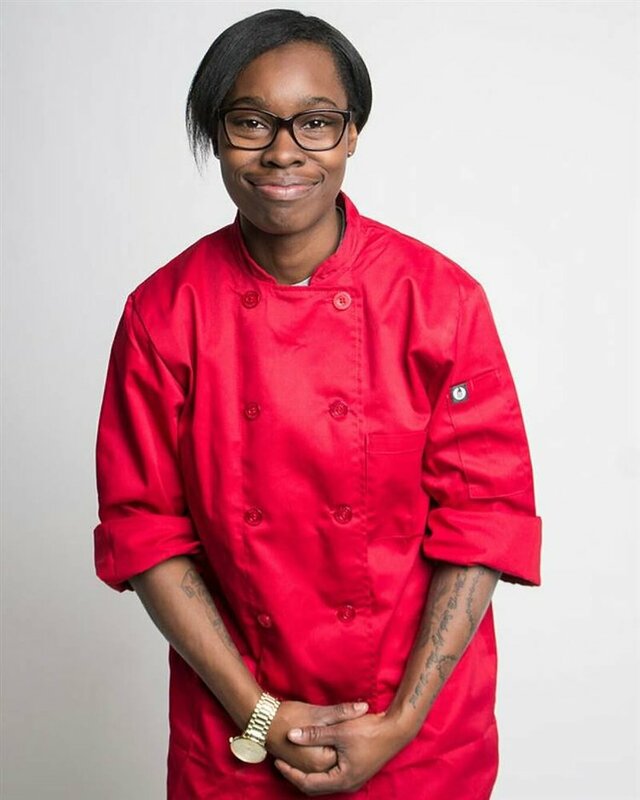 (Nov 10th 2018) Before Roshara Sanders put on a chef’s jacket, she wore another uniform: that of an U.S. Army soldier serving multiple tours in Iraq and Afghanistan. 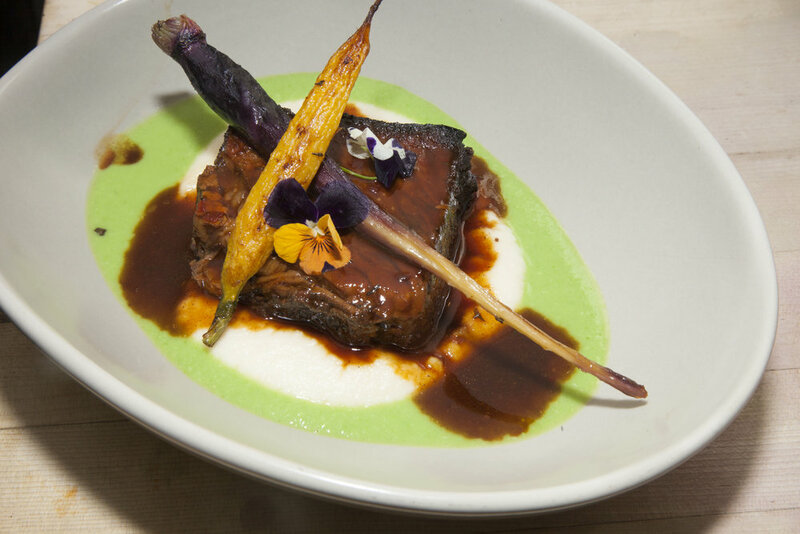 For this one-night-only experience, the JBF Boot Camp alum and Chopped champion is reuniting with her television competitors (and fellow veterans) for a thoughtful and delicious dinner dedicated to those who have bravely served our country.